One can almost always find a real-estate agency close to a train station. 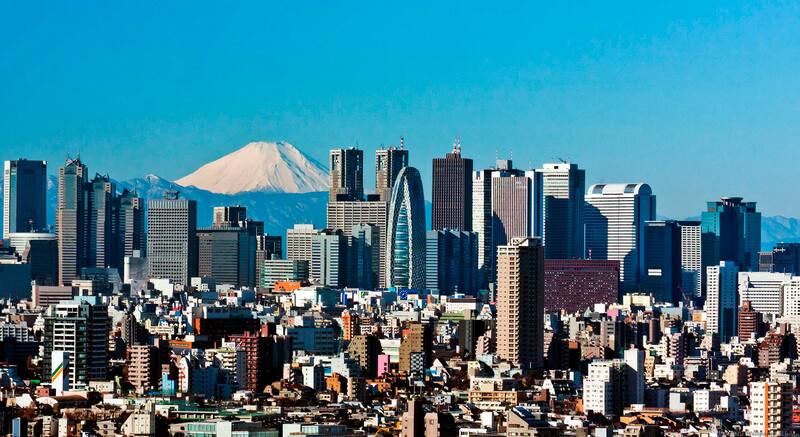 Currently there are around 120,000 Japanese real-estate agents and around 60,000 agencies. Annually around 5,000 new agencies open up, whilst similar numbers close down as well. This sector in Japan is vertiginous and very intense, and agencies that survive year upon year have profit structures constantly. Do Japanese real-estate agencies organise events? Generally commercial agencies carry out the same tasks in whatever country, such as obtaining information on putting a house for sale, carrying out legal and management paperwork, carrying out the necessary promotion to attract interested clients, and if one is interested to carry out all the formal processes. Each real-estate agency is varied however in some instances, for example, luxury agencies have a good working environment, the decoration of the agency is very elaborate and they have individual offices for important and famous clients who need a lot of privacy and do not want to be exposed. In these cases, Barcelona’s HJAPÓN comply with these requisites and offer exclusive spaces dedicated to such exceptional and unique clients, such as the HANAMI suite. There are two forms of salary system in Japanese agencies; one of commissions and the other with fixed monthly salaries; the former being the norm. With the first system, the agents carry out several efforts to sign a contract to purchase houses, but sometimes they do so without thinking of customer satisfaction, causing obstacles and damage to agency brand. On the other hand with the second system of fixed salaries, it is difficult to maintain motivation and enthusiasm on the part of the agents as their salaries don’t change despite the efforts or sales they make. This method is beneficial for the company and its reputation given that attention to clients are paramount. However one cannot say that this is the best working practice for agents however as it greatly influences their motivation and attitudes. The method that we use at HJAPÓN is of a dual-nature to find the perfect balance in delivering excellence to all. What type of homes are purchased more frequently in Japan; second-hand homes or brand-new ones? The second-hand home market is not that big in Japan when comparing to Europe, with the number reaching 30% whereas in Europe it’s around 70-80%. The main reasons correspond to the lifespan of the houses since there are natural disasters such as typhoons and earthquakes. Additional reasons include the use of wood in the construction of homes. Normally the Japanese think that a new house is much better than the used house. There is a big difference in the understanding of second-hand homes between Japan and Europe, due to the natural causes of the country.